It is important for all people and organizations to speak out about what they believe. We must state clearly and without hesitation, that Freedom Network USA stands opposed to racism. We stand opposed to all forms of hatred and oppression. We stand opposed to Nazis, neo-Nazis, white supremacists, and the ‘alt-right’. We stand on the side of justice, equality, freedom and inclusion. We stand opposed to the statements, actions, and policies of the Trump Administration that support hate and oppression.  Freedom Network USA is a human rights organization. We work to end human trafficking because it is one manifestation of the deprivation of human rights that remains pervasive in the US and worldwide. We work in coalition and partnership with those working to address all other manifestations of oppression, including: racism, sexism, ableism, xenophobia, homophobia and transphobia. We know that human rights cannot be separated or apportioned. A society that tolerates any form of oppression is a society that is an affront to us all. Human rights must be available and accessible by all, or they are not rights but privileges reserved for those in power. Human trafficking is rooted in a history of racism and discrimination. It is known as modern-day slavery because it has grown from the very same roots. It is no mistake that the forms of trafficking seen most often in the US are in industries that were once dependent on slave labor: agriculture and domestic work. It is no mistake that immigrants, LGBTQ youth, and survivors of abuse are targeted by traffickers. It is no mistake that traffickers use their relative power to control and oppress others for their own financial gain. Human trafficking is a continuation of the institutions of oppression upon which our country was founded. We must work to dismantle these structures of oppression to end human trafficking and realize the promise of the Universal Declaration of Human Rights. Freedom Network USA is dedicated to human rights. This commitment is rooted in our founding principles, our core values, our mission, and our policy work. It is made real through our advocacy efforts, our training and technical assistance, and our collaborative approach. We continue to grow, to learn, to address the implicit bias in our own history and our present. We have much more to do in order to create the organization we aspire to be, and to bring about the change we need in the world. We pledge to redouble our efforts in the face of the increasing visibility of oppression in the US. We stand on the one and only side of justice.